Imperial Shih Tzu, Tiny Imperial, Tiny Teacup, Chinese Imperial, and Tiny Toy Shih Tzu are all names that are being used interchangeable to refer to Shih Tzu dogs that are smaller than the AKC breed standard of 9 to 16 pounds. At first glance, one would think that they represent a separate AKC breed. This just is not the case; rather they are Shih Tzu dogs that usually reach adult weights of between four and nine pounds. Some of these puppies are born smaller than expected even though their parents are the normal size. As with any breed, every once in a while there will be a runt or a puppy that will be smaller than his littermates and will thus be smaller than the breed standard once they reach adulthood. Others are purposely bred small. Breeders who deliberately breed small Shih Tzu will choose two small dogs that are less than the breed standard hoping to produce offspring that are small as well. 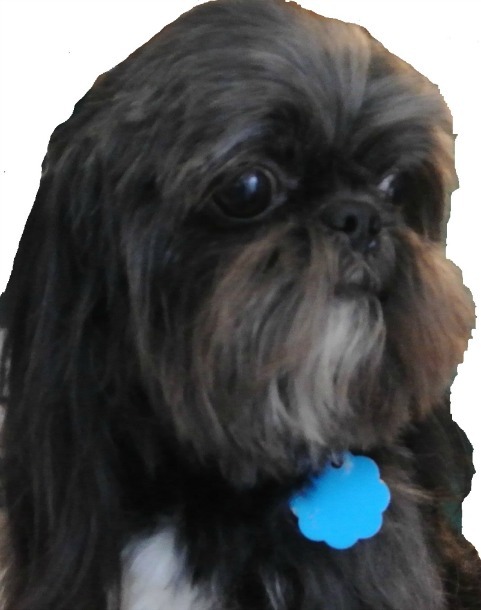 Some breeders who purport to breeding Imperials go so far to claim that there is an “imperial gene” responsible for creating small Shih Tzu. There is no evidence to this claim. From a personality standpoint, there is no difference between the "empirical" and a regular sized Shih Tzu. They are friendly, loyal and loving, playful and capture all the traits that you would see in a 9 to 16 pound Tzu. Health-wise, there are a few minor differences. As we will see below, hypoglycemia, especially in young puppies can be a life-threatening problem. Some smaller Tzus are also slower to mature and may still have open fontanelles (soft spots on their heads) at 8-weeks of age. Some experience a delay in tooth eruption but with deciduous as well as the permanent teeth. Some of the smallest Shih Tzu dogs do not have the sturdy bone structure, especially in the limbs which make them more prone to injury or broken bones. The biggest differences lies in the size. Smaller Shih Tzu dogs are smaller overall and the difference can be seen in the head and body. What's the Controversy over Imperial Shih Tzu? 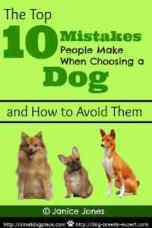 To breed selectively for small dogs, breeders will find a very small male, breed him to a very small female, and continue to take the smallest dog from the litter until they have a very tiny dog. In the United States, this is a hot topic nowadays. The debate revolves around two camps, the regular AKC Breeders who breed to the AKC Standard, and those breeders who have moved away from the standard as far as size is concerned. I do not believe that the controversy is over size per say. Any breeder is likely to produce a small Shih Tzu from time to time. Responsible breeders will not consider these small puppies special, exotic, or unusual and ask a larger price. They are simply sold as “pet” quality Shih Tzu without breeding rights. These puppies could never be promoted as “show” quality, because they would be disqualified in the show ring since they do not meet the breed standard. By calling their puppies “Imperials,” they are implying that their dogs are fundamentally different. The American Shih Tzu Club considers these claims to be a Myth. The real truth is that the breed is getting smaller. Except for those dogs that are shown in conformation shows, the size doesn't seem to matter. Many people prefer the smaller sizes because they are easier to handle and more portable. Supply and Demand For Imperial Shih Tzu? It is unclear whether these breeders of the so-called “imperials” are doing so in order to make more money, or are doing so in respond to a society who is looking for smaller and smaller “purse” dogs. A quick survey of Shih Tzu breeders reveals that oftentimes the demand dictates the supply. The law of supply and demand is alive and well in the dog breeding industry whether or not breeders or the general public are willing to acknowledge it. Breeders are simply supplying society’s demand for small dogs, using the terminology that has become fashionable in recent years. The terms, Imperial, teacup, and tiny Shih Tzu are those terms that the buying public has latched onto. As consumers want new and different inanimate products, so too are they search for unusual pets, often time as status symbols. Is this right? This is just the reality of the world we live in. Sadly, there is another side to this breeding tendency. Normally these smaller Shih Tzu are healthy and live long lives. Still, there is no guarantee. If puppies are less than five pounds, they may have health problems. 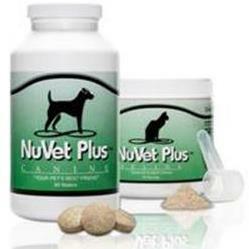 As with other small dog breeds, Hypoglycemia can be a problem in tiny breeds. Hypoglycemia or low blood sugar is a possible problem with all toy breed puppies but becomes an even greater risk to tiny Shih Tzu pups. If not caught early, it can be fatal. Other problems associated with the Shih Tzu breed can worsen in the tiny versions of the breed. Whether or not there is a right or wrong to this debate remains to be seen. In the meantime, there are tiny Shih Tzu puppies that can be purchased as well as the normal size dogs of nine pounds or more. New owners have the right and responsibility to research and make an informed decision as to the size of Shih Tzu they prefer. New owners should not be caught up in the terminology and should do their homework prior to purchasing a new puppy. Imperial, mini, teacup, miniature - these terms all mean the same, so if you see that a breeder has defined them differently, assume the breeder did it for clarification purposes only. As with any living creature, impulse buying should be avoided. 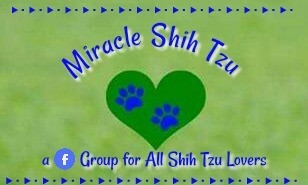 If you already own a Shih Tzu and are also on Facebook, may I invite you to join a friendly group of like minded people. Click on the picture below to be taken to the page. Ask to join. I promise to use it only to send you Small Dog E-Zine.